This amazing, all natural product will work wonders on dry, scaly skin. 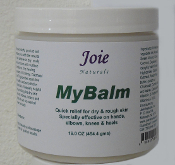 Extremely effective on elbows and knees, it is also suitable for all over body use, including facial skin. For all skin types and all ages. Price $ 29.99 each plus shipping.